Credit card from Standard Bank. Credit where credit is due. To qualify for a credit card from Standard Bank consumers must earn a minimum of R5000 a month and be at least 18 years of age. Pay the full amount on time each month and get 55 days no interest credit. Plus aR100 000 limit and an option to raise the ceiling after six months. All your online shopping passwords are 3D Secure. And, you can manage your account with MasterPass®, Tap to Pay™, Internet Banking, SnapScan® or Mobile App. Cash withdrawals are available at ATMs displaying Maestro, Cirrus or MasterCard® signs. 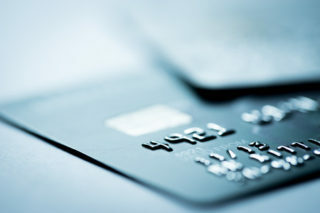 Use your credit card worldwide, simply inform the bank when travelling overseas. Talking about travel, you get free travel cover if tickets are purchased with a credit card. Finally, manage your accounts with (APO). Approval is subject to credit checks and FICA requirements. Standard Bank will contact you within five business hours if you apply for a credit card online. This programme rewards Standard Bank customers who buy using their credit cards or cheque cards. *Terms and conditions apply. See UCount website for full details. ← Everyone deserves credit. Choose how much you deserve!